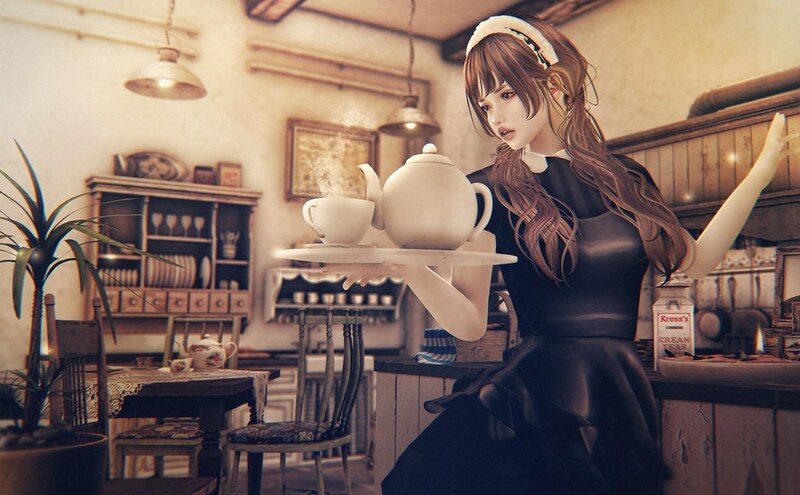 ■Skin (Applier): VCO HAIR _ Balen Hair & Catwa Skin Gacha @The Epiphany NEW! ■Eyes: [ Conviction ] Shion Eyes Gacha @The Epiphany NEW! ■Dress: [Canimal] Plastik Dolle Gacha @The Epiphany NEW! ■Pose: Bossie. bella pose set [bento] @The Seasons Story NEW! ■Cornish Cottage Set: [Kres] Cornish Cottage Gacha @The Epiphany NEW! DRD Shadow Box – Read all the details here: Official Blog NEW! ■Plant: Cheeky Pea :CP: Champagne Flute Chair Set (PG) @Deco(C)rate NEW!